Only a few hours ago Lamar Odom has been reported to be responsive for the first time since being in a coma. 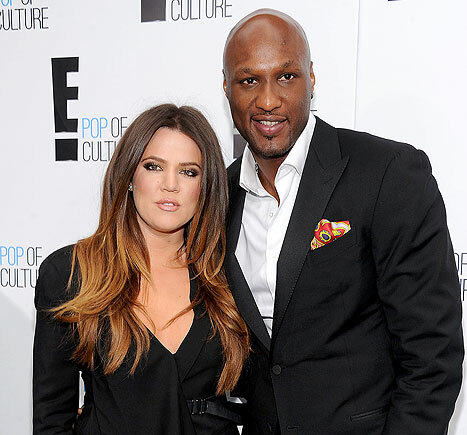 ET has learned that Lamar Odom has opened his eyes and has been able to communicate. According to Alvina Alston, a spokesperson for Odom's aunt, JaNean Mercer, the 35-year-old athlete was able to open his mouth and speak on Friday. When his doctor asked how he was doing, Lamar gave a thumbs up and responded, "Good morning." Lamar has two children (with ex-girlfriend Liza Morales): 17 year old Destiny and 13 year old Lamar Odom Jr.
Lamar has been in hospital for three days, after being found unconscious on Tuesday at the Love Ranch, a brothel in Crystal, Nevada. His estranged wife is Khloe Kardashian, who has been by his side since Tuesday, with most of her family including her mother, Kris Jenner, and sisters, Kim Kardashian, Kourtney Kardashian and Kylie Jenner, joining her at the hospital. Lamar suffered a heart attack and organ failure, and was placed in a medically induced coma and on dialysis on Wednesday. He opened his eyes after about 72 hours in the coma, and ET was previously told he was in critical condition. And prior to that, the Kardashians made their first public statement since Khloe Kardashian’s ex Lamar Odom was hospitalised in Las Vegas. The Kardashian-Jenner family have published a message across all their websites explaining why they have paused activity on their apps. "As a family, we’ve decided to hold off on publishing content across our apps while we continue to support and pray for Lamar. Thank you for your kindness and understanding during this difficult time." The family has also updated their individual social media accounts with messages of support for Lamar.